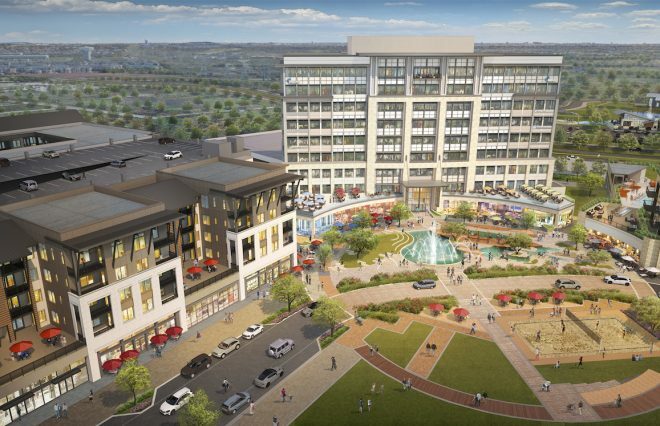 North Texas developer Bright Realty has broken ground on a $1.5 billion project set to bring office, dining, retail, entertainment and residential space to Lewisville. 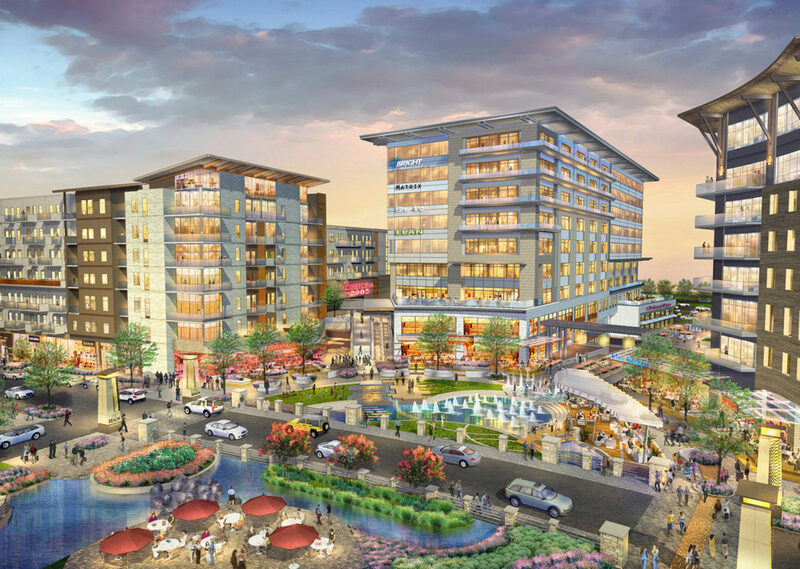 The company announced Tuesday construction has started on The Realm at Castle Hills, located west of State Highway 121 and Josey Lane in Lewisville’s master-planned Castle Hills community. Bright Realty built Castle Hills, which currently spans 4,500 single-family homes. Set to be a 324-acre development, when completed, The Realm will be a walkable environment and include an extensive trails system, Bright said in a prepared statement. Phase I of the project, known as Offices at The Realm, will include a 9-story Class AA office building spanning 235,000 square feet of office space and 15,000 square feet of first-floor restaurant space. Amenities will include tenant areas with Wi-Fi, a community lounge and patio, a conference center, rooftop deck seating computer bars, a fitness center and surface and structure parking. The restaurant space will have shaded seating, event areas and a water feature. Construction is set to be completed in mid-2019. "The demand to live, work and play in the same area has transformed our suburban communities," Chris Bright, Bright Realty CEO, said in a prepared statement. "The Realm is designed with that in mind and with a focus on an overall quality of life that offers a sophisticated suburban setting with generous outdoor and event spaces. We want people to live, work, play and stay at The Realm and with the varied and numerous lifestyle products we are offering here, they will be able to do just that for generations to come." 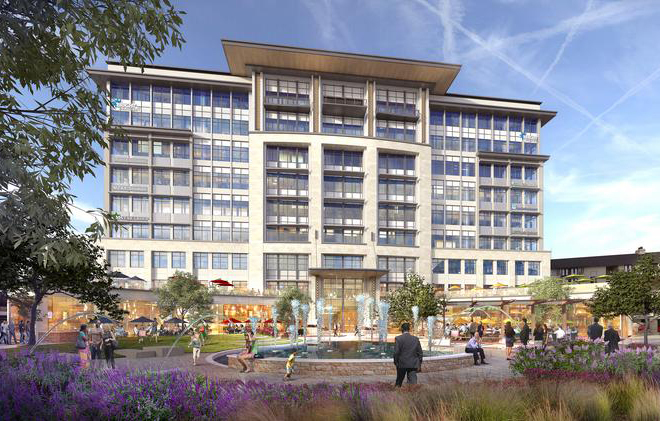 Bright Realty has also laid the groundwork for Phase II of The Realm’s development, which will include a 260-unit multifamily complex and 35,000 square feet of boutique-style retail space. The phase is expected to deliver in mid- to late 2020. 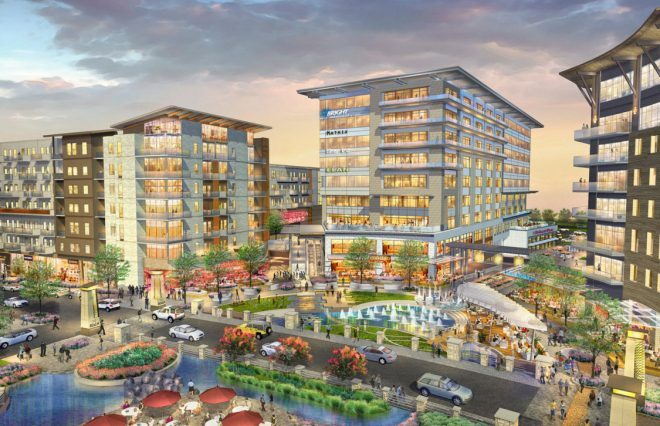 Additional plans for The Realm include condominiums, an amphitheater entertainment district, and additional retail, restaurant and multifamily properties. The development is being constructed on the former family ranch of Texas businessman and Dallas Cowboys owner H.R. “Bum” Bright. According to Bright Realty, it offers proximity to DFW International Airport and major work hubs like Plano’s Legacy West. Design for the project is being provided by 505Design and BOKA Powell, and Land Design is serving as landscape architect for both phases. Hill & Wilkinson is general contractor for Offices at The Realm, and Andres Construction is general contractor for Phase II of the development. Colliers International is overseeing leasing of the project’s office space and Bright Realty is overseeing the brokering of retail and restaurant space.